By E.J. Schultz . Published on January 19, 2017. IBM's Watson has struck again. 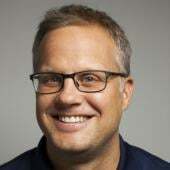 The machine learning program, which has emerged as a popular tool for agencies and marketers, is powering a new highly targeted digital campaign for Toyota that uses an algorithm to generate ad scripts. Breaking this week, the campaign is the latest example of how Toyota agency-of-record Saatchi & Saatchi Los Angeles is using what it calls "creative programmatic." 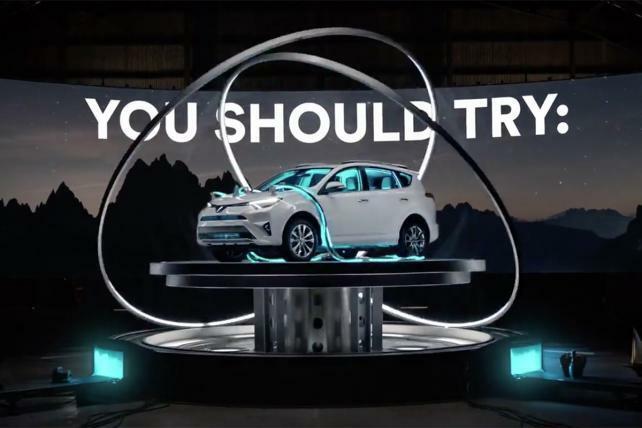 The agency wanted to connect the Toyota's Rav4 crossover to the favorite activities of individual consumers, but in an unpredictable way. So Saatchi fed Watson the world's top 1,000 activities -- like biking, dancing and cooking -- and asked Watson to pair two activities that had low probabilities of being matched. The agency then used the pairings to create 300 unique videos, which are being targeted at users on Facebook and Instagram. For instance, one video (below) pairs the words "marathon" and "luge" and suggests the viewer try playing "win, luge or draw." That will require agencies to use flexible creative models rather than "creating just linear storytelling," he said. "It's just a natural evolution in terms of where content is headed." Of course, humans could theoretically have come up with the odd word combinations that Watson produced. But Mr. Pierantozzi said Watson and its artificial intelligence capability produces "a whole new level of creativity that allows us to even think more outside the box." He added that artificial intelligence "allows us to scale the content as well. Because an AI is able to come up with thousands and thousands and thousand of things, versus it would take a person significantly longer. The AI is also going to allow us to do more market personalization in the future, and we are just at the beginning of that." Toyota calls the new campaign the "RAVtivity machine." "RAV4 buyers are one of Toyota's most active audiences, seeking out new journeys, and we wanted to tap into that adventurous behavior," Nancy Inouye, national media manager at Toyota, said in a statement. "With the RAVtivity machine, we combined Facebook's behavioral data with AI-created activities to deliver hyper-relevant content, personalized to their interests."